January 16, 2019 December 6, 2018 / Julie Brook, Esq. When disinheriting a spouse or child, the key is to be clear and explicit. Here are some DOs and DON’Ts to follow when your client wishes to disinherit a spouse or child. DO include a clear disinheritance clause in the will. The disinheritance clause should unequivocally state that the testator intends not to provide for any spouse or child not named in the will, including natural, adoptive, step-, and foster children whose names are not known when the will is executed. DON’T use a nominal inheritance. Disinheritance clauses often give something nominal (e.g., $1) to those who are intended to be otherwise disinherited, but this doesn’t add anything to the validity of the disinheritance provision and may make things more complicated because even a nominal inheritance requires the executor to communicate with the disinherited person to make the distribution and get a receipt for it. On the other hand, a relatively small devise (e.g., $5000–$10,000) to a disinherited heir may deter the heir from contesting the will, especially if the attorney explains the cost of the contest and the likelihood of prevailing. DON’T give reasons. Sometimes a person is disinherited for reasons that are unrelated to animosity, such as when a spouse or child has a substantial estate in his or her own right and there’s no reason to increase it with the testator’s assets. Although some drafters state the reason for the disinheritance, it’s better practice to avoid stating any reason. If circumstances change, such a statement may open the door to litigation on the question of what the testator would have done had the testator known of the change in circumstances. DO specifically omit anyone who might be considered a spouse. 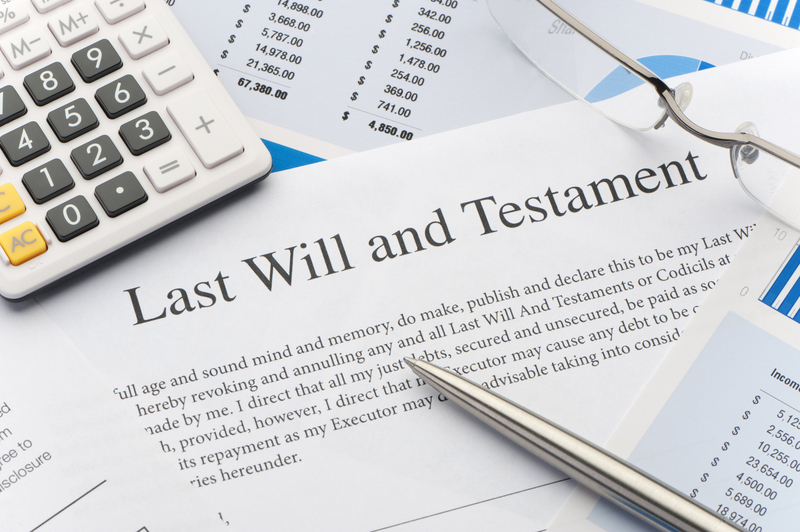 The testator’s omission of a spouse as beneficiary of a will must appear to be intentional for the language in the will to defeat the spouse’s claim of omission. Prob C §21611. The will should make clear the testator’s intention to omit anyone who might be considered a spouse of the testator, including former spouses and putative spouses, whenever there’s any question about the testator’s marital status. The surviving spouse may claim omission unless provision for or omission of the spouse in the will refers to that person as the testator’s spouse. Any statement in the will that the spouse is intentionally omitted must be clear and specific. A provision in a will specifically excluding a prospective spouse won’t apply to a different spouse. DO expressly disinherit children known and unknown. California law is unusual in providing for an omitted child when the decedent was unaware of the birth of the child. Prob C §21622. And, except in the circumstances described in Prob C §21621, if a testator doesn’t provide by will for a child born or adopted after execution of the will, that surviving child is entitled to take from the estate that share of the decedent’s estate that would be the child’s share if the decedent had died intestate. Prob C §21620. Although it’s often unnecessary to expressly disinherit a child who has been mentioned in the will—but it’s safer to do so if that’s the intention—it’s always best to expressly disinherit all unknown children, i.e., those not mentioned in the will. 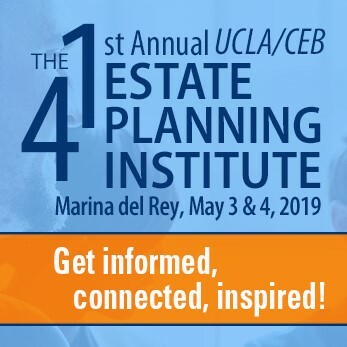 For more on disinheritance clauses, including sample language, turn to CEB’s California Will Drafting, chap 35. This transmission and any attachments may be confidential and legally privileged. Please notify the sender immediately if you received this message in error.